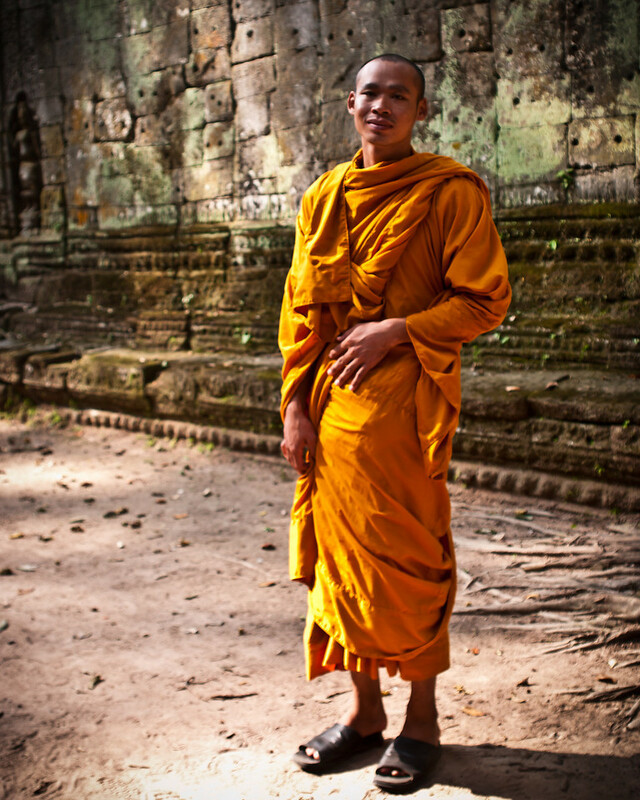 While visiting the temple called Ta Prohm at the Angkor Temple Complex in Cambodia, I saw two monks walk by where I was standing. I made eye contact with one and made the universal sign for “can I take your picture,” by holding up my camera and looking at him questioningly. He nodded, stopped and turned towards me. His companion was unaware of our exchange, but got far enough away that his shadow did not clutter up the picture I quickly took. I really like this picture for the colors, the textures, and the … otherness that it conveys, culturally speaking.